The backstitch is a common stitch in embroidery and hand sewing – but it can also be a great tool to use with crochet! Here’s how and why to backstitch! The backstitch is the same no matter what you are stitching with – thread, embroidery floss, or yarn. If anything, it’s easier with crochet because you’ve got the stitches to guide you, rather than having to “eyeball it”! 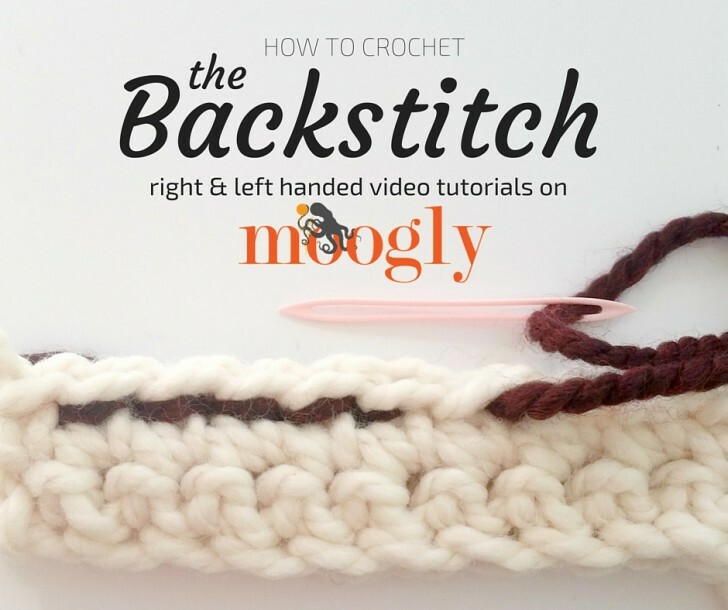 So why use the backstitch with your crochet? 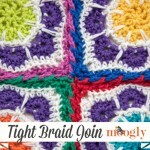 It is another method for seaming two (or more) pieces of crocheted fabric together. You would want to use this method when you want the pieces to lie flat, one on top of the other. This is different from most garments, when you want the two edges of the fabric to meet – for that you’d want to explore the mattress stitch or whip stitch method. For this reason, the backstitch also my favorite method for sewing on crochet appliques! You can backstitch all the way around the applique, and it creates a nice solid line, emphasizing the shape of the applique itself. And because it doubles back on itself, you know it’s nice and secure – and safe for young children! 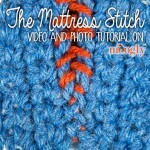 I hope you’ve enjoyed learning more about using the backstitch with crochet! Thanks so much for watching! Get Moogly on your favorite social media sites: Facebook, Twitter, G+, Pinterest, Instagram and Tumblr, and sign up for the free Newsletter so you don’t miss a thing! Thank you to Lion Brand yarn for the yarn used in this tutorial. 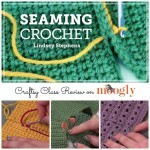 Seaming Crochet with Lindsey Stephens: Craftsy Class Review! How to Thread Small Button Holes with Yarn – and No Needle! What a great idea! I would never have thought of using backstitch with crochet. I use it all the time when I am cross-stitching. will definitely keep this in mind. Thanks! 😀 I’m so glad you liked it Lisa, thank you! I just used the backstitch technique to sew on the “dots” for the building blocks afghan I made my grandson for Christmas- it worked perfectly! Hi Patricia, and thank you! I have not tried the Scrubby yarn myself, but my advice for working with it is the same as for other highly textured yarns: Use a bigger hook than you would normally, put a white cloth on your lap, and use a strong bright light! I would love to find the large yarn needle you used.